Don’t worry, your baby won’t be a little green alien. Although sometimes, it may feel like it with the jabs and rolling motions of the little life inside you waiting to make his or her appearance in this world. Having a baby is life changing. Most expectant parents want to do their best to prepare for their new arrival, so it makes sense to embrace a lifestyle change to eco-friendly if you haven’t already, starting right in the nursery. Lead is no longer found in newer paints found in stores, but there is another chemical you should become aware of: volatile organic compounds (VOC’s) How can something that says its organic be bad you ask? The VOC culprits emit toxic fumes and invisible gases from common household items such as paints, flooring or even a new vinyl shower curtain. Thankfully, many major paint brands now offer low or no-VOC paints. Check the labels! Add a corded dimmer switch to your lights that are next to your cozy chair so it’s always within reach. A little night-light also provides sufficient lighting in the dark at lower wattage use. Crawling around on the floor can have its disadvantages for baby. Carpet is one of the most toxic elements that you can put in any home. Carpets can harbor dust mites and other allergens. Even worse, new synthetic carpets can emit gaseous VOCs. Options to keep the nursery carpet-free: bamboo flooring, cork or carpet tiles. Add softness to the bamboo floors using a natural fiber rug or mat. If you don’t like the idea of carpet free, at least consider one made of natural fibers such as wool, cotton, hemp or jute and don’t forget about checking the padding! Cordless cellular shades (available through Levolor) is just that…cord free! This is the safest option for curious little fingers. Use natural fiber window coverings to compliment your color scheme and room decor. An air purifier improves indoor air quality by removing allergens such as dust, pollen, mold and pet dander. The Idylis air purifier from Lowes claims to remove 99.9% of airborne allergens. HEPA filtration on vacuums also helps reduce airborne allergens. 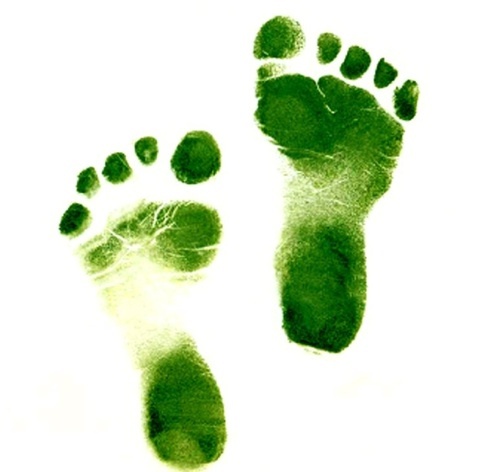 Using eco-friendly cleaners are the safer alternative for your whole home. Even a little vinegar, baking soda, etc. can do a great job cleaning without the harmful chemicals. 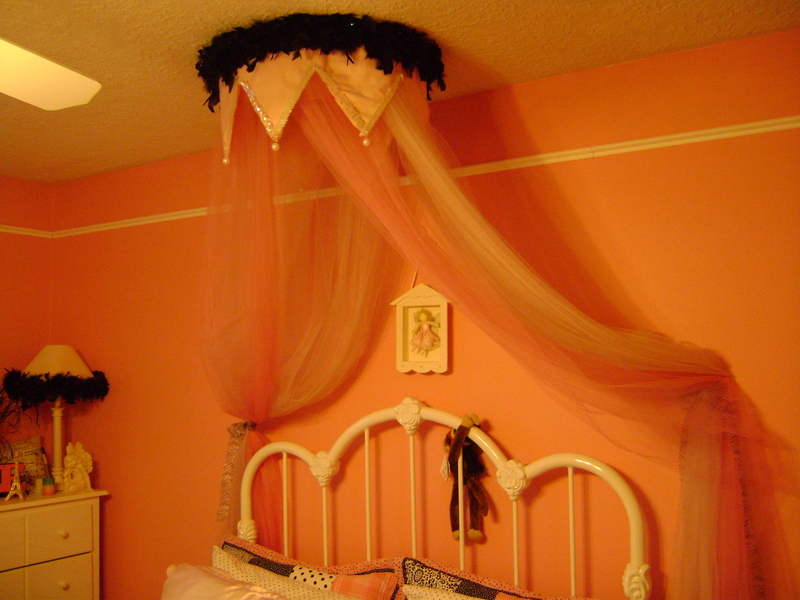 Convincing our daughters that all boys are frogs, and they are princesses, what girls bed would be complete without a crowning touch like an overhead canopy? Making one yourself is extremely easy and affordable. 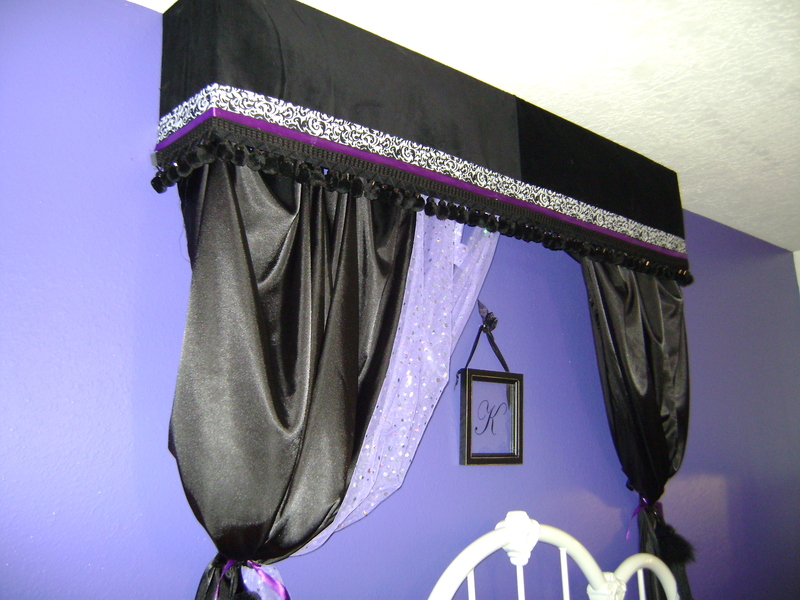 For the one pictured, I used some soft felt for the underside cover and the top ring (1 1/2 to 2 yards should be more than sufficient), 2 colors of sparkle tulle (about 8 yards each-on sale, this runs about $.79 per yard! ), some zebra print ribbon for the tie-backs (1 yard cut into 2 pieces), some sequined cording (about 1 1/2 yards), over-sized faux pearls (1 package) and a black feather boa. You can find all of this stuff at a crafts store; I like Hobby Lobby because they put their fabrics on sale frequently. For this canopy, I spent about $20-25. You can find something similar online for much more and it’s not nearly as “customized” to suit your daughter’s room decor.